Whether traveling for fun or flying for an important meeting here in the metropolis, it’s undeniable that as a Cebu car rental company will definitely delivers that perfect car rental services that appeals your selective demands. We can assure you of the best deals that undeniably suit your budget. 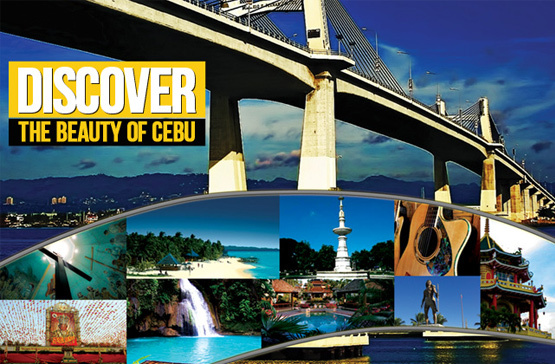 Discover Cebu with us as you travel on to the city’s gateway of rich historical and cultural past with the best car rental Cebu provider. Traveling couldn’t get any easier as you book your next trip with us only here at Cebu Trip Rent A Car your prime Cebu rent a car company. Hassle no more as we conveniently serve your entire car rental needs 24/7 as you dial our lines and book with us. With our highly trained and exceptional staffs, we assure you of an efficient service that will make your stay here in the city truly remarkable. 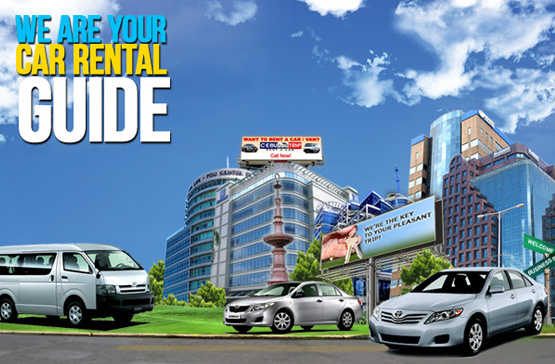 Worry free car rental services here in Cebu truly designed to cater your needs only here in the city’s #1 rent a car Cebu Provider, Cebu Trip Rent a Car! 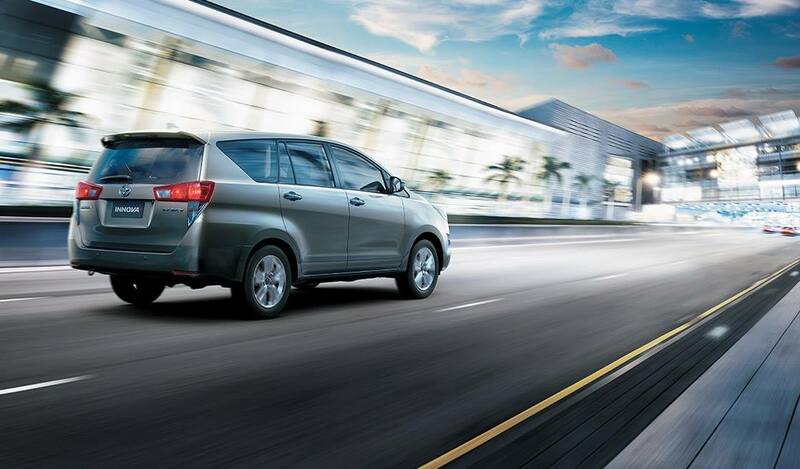 We provide a variety of special rent a car service to help and assist your rental needs. Want to go sight-seeing? Shopping? Or are you just curious about the culture, the people, and the place? Then our city tour is definitely the right answer for you. Need to get to another area code but hate the hassle of traveling by bus or by boat? Then our Out of Town and Inter-Island car and rent a van service is the perfect solution for you. 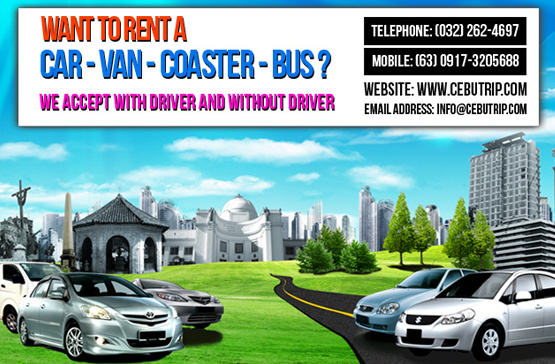 WHY HIRE A CEBU CAR RENTAL COMPANY? It would be a shame to limit yourself by choosing to wait long hours for public transport options, when you can be more effective and see more things if you go for the Cebu car rental option. 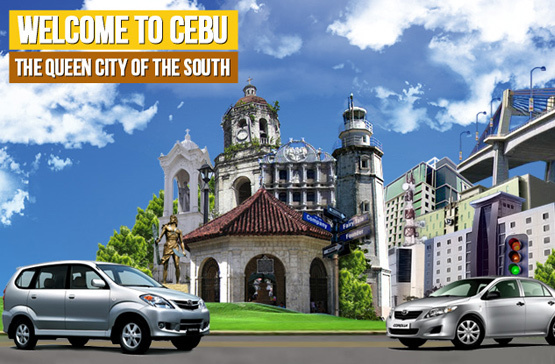 If you're just visiting, you won't have a car of your own, so you'll need to make use of a car rental Cebu. Depending on the number of persons you travel with and on the things you want to do, you may choose the service from car rental in Cebu that suits you best. For bigger families, you may be better off by renting a van, but if you're alone, you may prefer to get a sedan, which is cheaper and easier to drive and park in crowded places. If you think you may want to go on bumpy country roads, you would be happier with an SUV, but you need to be prepared to pay a bit more than in case of a small sedan. 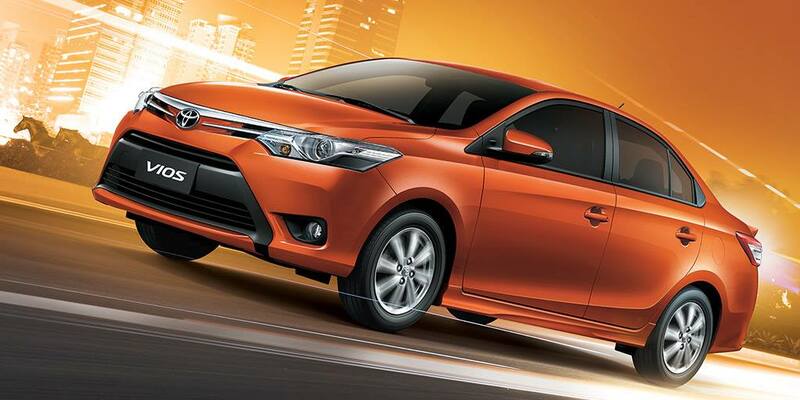 Among the most popular cars you can hire from most Cebu rent a car services there are: Toyota Innova, Toyota Vios, Toyota Corolla, Kia Rio, Kia Picanto and Hyundai Accent. As you can see, these are cars with different levels of comfort and different sizes, therefore you can get the specific one that will make you feel good while staying within your budget limits. Even tourists who, for one reason or another, don’t drive can use a rent a car in Cebu since they can rent the car with a driver. All drivers are highly qualified and extremely polite and they can take you to wherever you want to go by choosing the optimal routes. But if you’re up for driving the car from the Cebu car rental company then go for the cheaper rent rate from a car rental Cebu. Here in Cebu Trip Rent a Car, we aim to provide you your car rental needs, you can rent the vehicle by the hour, by the day or by month with. This will allow you to make your planning very well and not waste money on a car you don't use that much. There's another rental option which may be appealing to you in case you know exactly which trips you want to go on. You can have the car rental in Cebu Airport to specific destinations such as Alcantara, Barili, Bogo, Compostella, Dumanjug, San Fernando or any other provincial trip of your choice. For each trip you'll know how many kilometers you have to drive and how long it will take to get there and return back to the starting point. Rental prices are made according to these parameters, so you'll only pay for what you use, nothing more and nothing less. 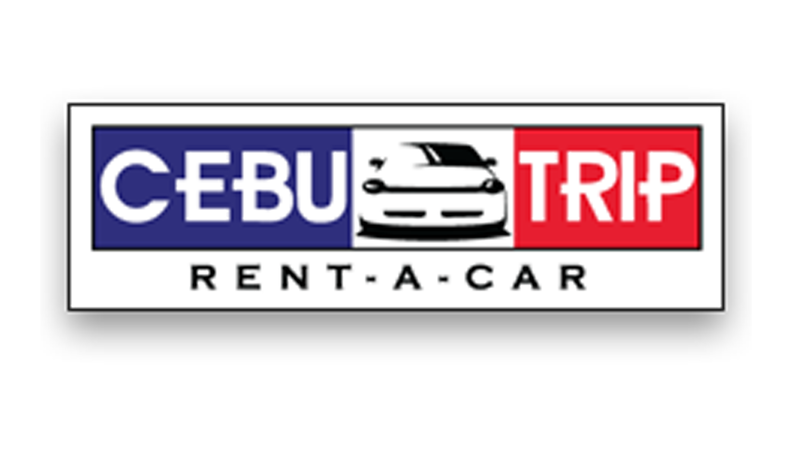 Great deals here at Cebu Trip, a rent a car Cebu! 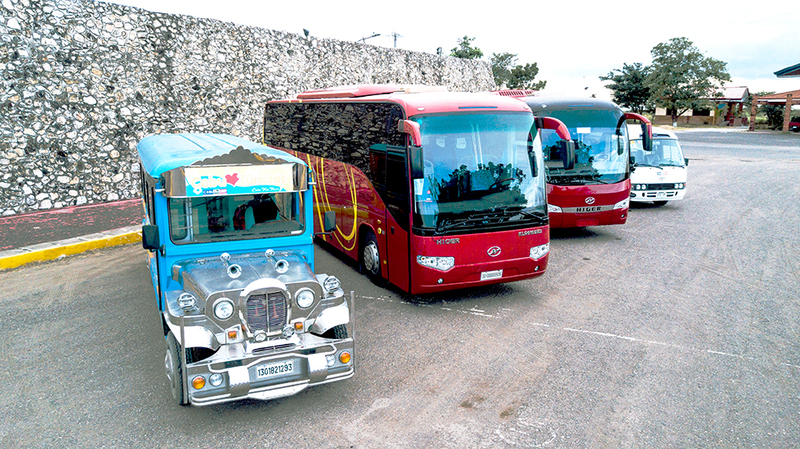 Welcome as you retreat yourself to the country’s oldest city of culture as we take you on for a truly exceptional ride. Whether you're for the first time in Cebu or you're visiting it for the 10th time, it's always best to explore it while traveling in style. Having your own car through car rental in Cebu provides you the best experience, as you can stop whenever you want, when you want it, you can take whatever roads you wish and you don't depend on anybody else to make your visiting program.